We’re very happy to welcome Veggies to the ARB family. 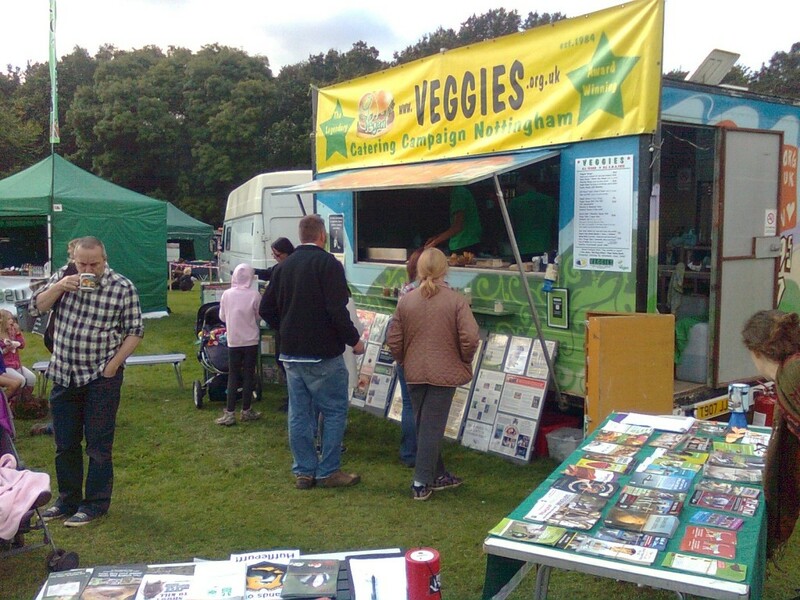 Veggies Catering Campaign provides food at almost any event – from campaign rallies to community festivals, from family celebrations to green gatherings, offering tasty, wholesome snacks, as well as information exploring the links between diet, animal suffering and the environment. Amongst their many catering gigs, they help feed hungry bookreaders at many a radical bookfair up and down the country. Many consider Veggies to be one of the most ethical caterers on the circuit, with policies developed from 30 years experience in pure vegetarian catering. They are 3-times winners of the ‘Best Vegan Caterer’ Awards. 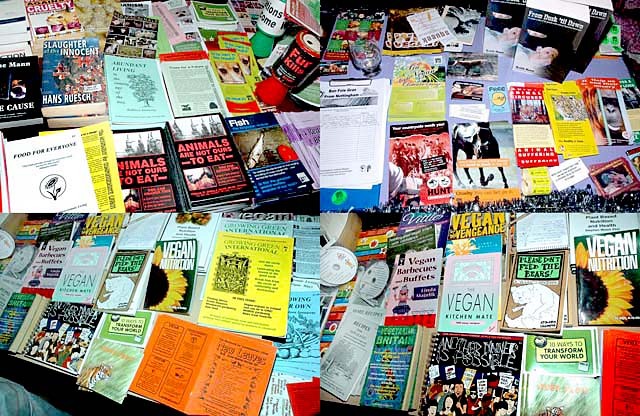 But as well as spreading the values of ethical eating, they also sell books wherever they are pitched up, as well as from their base at the Sumac Centre in Nottingham. This entry was posted on August 12, 2015. It was filed under ARB Newshome.